On Monday, a 2011 Lincoln Navigator was parked outside D.C. Council Chairman Kwame Brown's home in Southeast. 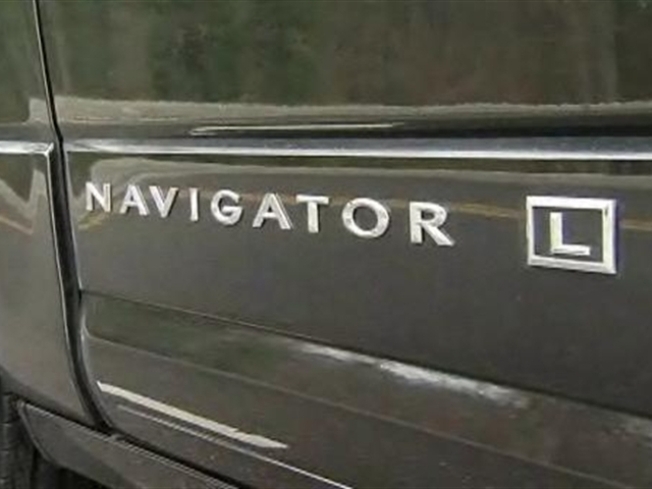 That Navigator costs District taxpayers $2,000 a month for the lease. And somewhere else in the city is another Lincoln Navigator with a similar price tag. At a time when the city is facing severe budget cuts in the hundreds of millions of dollars, people are wondering how luxury cars for a city official fit in. Even Monday's holiday for Presidents Day was one of four unpaid furlough days for most city workers. A searing series of reports -- first from City Paper and then with more details from the Washington Post -- have snarled Brown in a public relations disaster. Although Brown maintains that he did not know details of the expensive leases, e-mails published by the Post show his staff aggressively seeking a fully equipped car; they were also anxious for it to be delivered before Brown took office Jan. 2. In an interview at his home on Monday, a subdued Brown insisted he wasn't aware of the costs and said he is going to return the second car. But he may not be able to just turn it in. There are leasing agreements and fees that still haven't been fully assessed or explained. Sources close to Brown say he could ill afford this controversy over government funds. Mayor Vincent Gray is due to release a tough budget April 1. For months, Gray has been warning of austerity to come. Brown, as council chairman, will have to lead the council's review of that tough budget. Brown's supporters say it will be hard for him to wield the gavel on citizens who complain about budget cuts and then point to his expensive Lincoln Navigator problem.